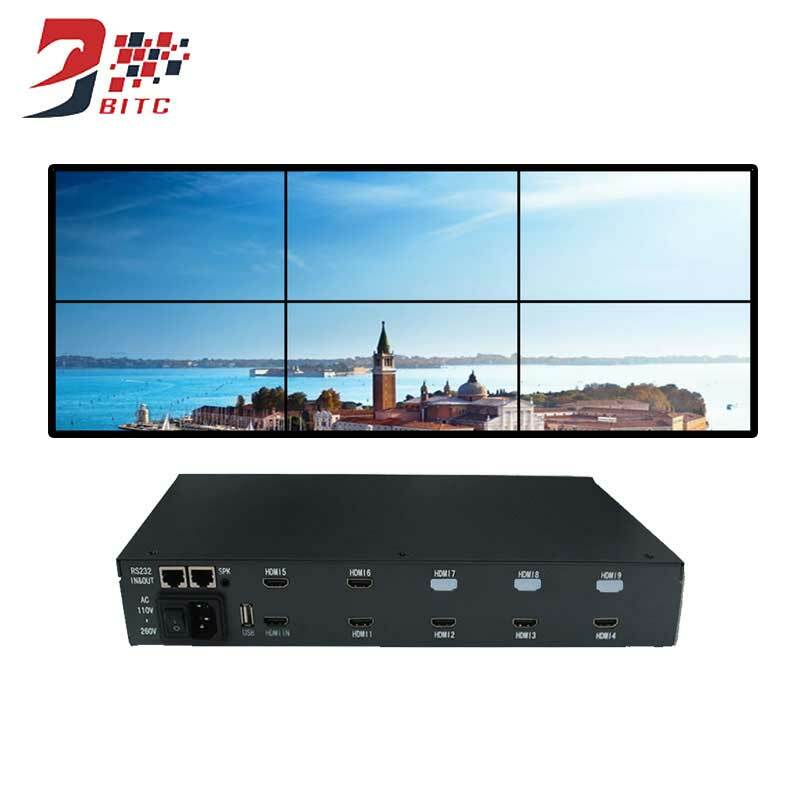 Support 1 HDMI, 1 DVI, 1 VGA, 1 USB inputs, you can switch the input video to display or splice. Support 180 degree image flip function for each screen. Past the edge mask processing, the image without deformation, stretching, more natural and realistic. It can play and control the video, pictures, MP3, TXT documents via USB input. Support overlay subtitle words on the video via RS232 control software, you can setup the subtitle position, speed, size, color.